At Great Southern Log Homes, we take log home building and restorations very seriously. After all, it is our lifeblood. We’re dedicated to revitalizing homes that are showing tell-tale signs of wear and tear back to their original pristine condition and, in this economy, it sometimes make sense to renew and restore your present home. Not only does it replenish your sense of living well, it’s an upgrade to your house’s appraisal value and a way to save money on costly utility bills. Keeping your present home viably marketable is an asset. The first step in the restoration process is for us to come to your home and give it a thorough inspection. It’s during this time that we will find any and all improvements that we can offer which will increase your home’s value. At this point, we will process the evaluation and produce a detailed report of our recommendations. It’s an example of how we work with our customers on a step-by-step basis, ensuring integrity. We create a restoration and maintenance program which details our intentions, our plan for action, the materials we foresee using as well as thorough explanations of our point-by-point process. We pride ourselves on consistent, clear and up front communication. After looking at your home, the work that needs to be done is normal wear due to the elements. The maintenance program that we have will eliminate this. (End of proposal is an outline). Chinking has pulled a way from the upper log in many areas, as well as it being cracked around the windows. The stain on the upper gables, porch railings, decks and fascia boards needs to be stained as normal wear and elements have taken their toll. The whole house needs to be clear coated (except decks) to protect the finish. Stair railings on the back and the front are rotted and need to be replaced as well as the treads on the front. 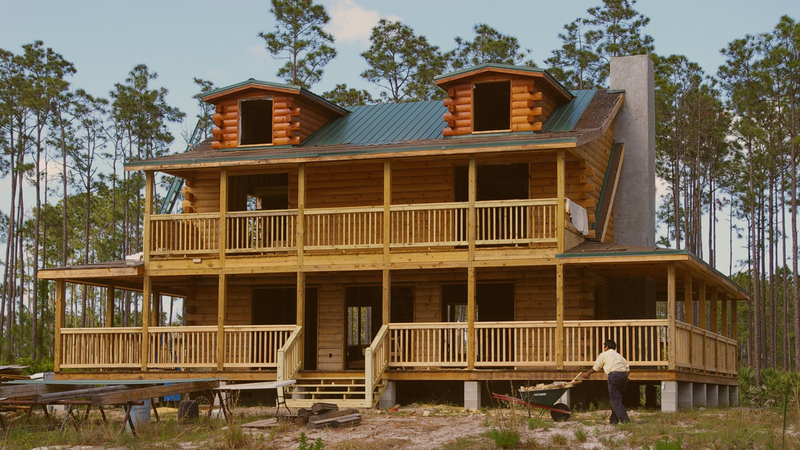 Great Southern Log Homes has done numerous log home restorations across the Southeastern United States. With over 40 years of combined experience, including helping draft building codes that adhere to hurricane and tropical storm standards, we possess the knowledge and know-how necessary to revitalize your existing log home right the first time. Removal of Any Remaining Finishes: In this step we remove any containment that could affect the adhesion of the finish. 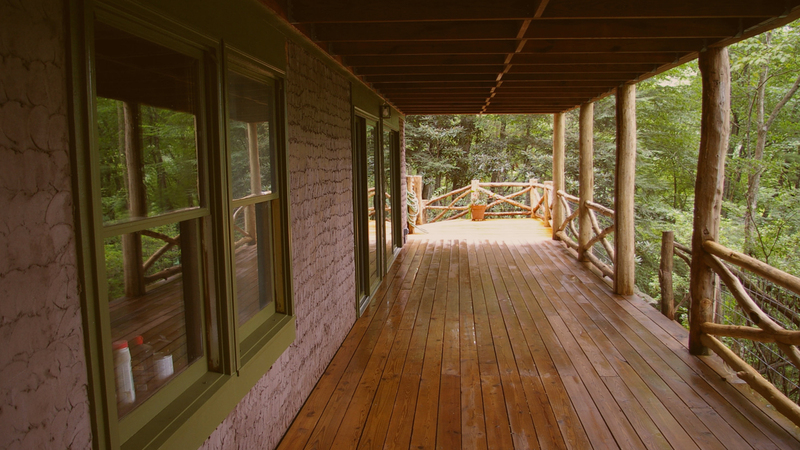 We use an environmentally friendly water-based cleaner that removes oil and water-borne finishes from logs, siding, and decks. Sanding is not included if needed. Application if Check Mate 2: Check mate 2 is an outstanding water resistant sealant that prevents water and air infiltration through pronounced cracks (called checks) in logs, timbers and wood siding. Caulking is an obvious solution to this problem, but caulking does not work because of the limits in adhesion and weatherability. Application of Exterior Lifeline Ultra: Lifeline Ultra is the first component of our two component exterior wood finish system. The application of Ultra helps to ensure consistent color development on your walls. From the day that we apply it to the many years of durability that you get from it. Application of Lifeline Advance: Lifeline Advance is the second component in our two component exterior finish. The acrylic resin and updated additives in Lifeline Advance provide the ultimate protection for the color base stain on the exterior of your log home to give you the maximum life for your exterior stain system. Periodic maintenance of Lifeline Advance clear topcoat helps to insure that you will get the absolute longest possible life from your exterior stains. The stain system (Lifeline Ultra and Lifeline Advance) is greater than the sum of it's individual components. This is because the formulations of the two components are significantly different. Each is formulated to perform separate but complementary functions to each other. Application of Perma-Chink between all exterior log courses and around all exterior windows and doors (where applicable): This is a pliable, gap-filling product that will seal the home from water and pests. This is a very important portion of the recommended procedure. In areas of high humidity or wind driven rain, the lack of chinking is a leading cause of moisture related to log rot. Perma-Chink is a pure acrylic that adheres to logs and stretches to maintain a tight seal by following log movement. Proper care and maintenance of the wood in a log home can create a beautiful habitat and prevent a host of problems in the future. I believe that proper wood care and periodic maintenance will extend the useful life of wood indefinitely. House logs are really just tree cadavers, once a tree is cut down, it no longer has a defense mechanism like it did as a living tree. It's natures way of recycling to send in the scavengers such as termites and decaying fungi, to return the tree to the earth. You have to take a proactive approach to interrupt these natural processes and postpone them. It can be done and your log home can last and look good for many years, decades, and even centuries. The worst thing you can do is to do nothing at all. The key to keeping your log home functioning at its fullest potential with maximum energy efficiency is regular maintenance. While all homes necessarily demand regular maintenance, you will be happy to know that maintaining a log home is relatively easy and affordable. Great Southern Log Homes is your partner for extending the life and value of your home. After all, you want to invest in and grow your assets. Of course, maintaining a log home requires specific jobs suited to its unique structure. When you partner with Great Southern Log Homes for our maintenance programs and recommendations, we will deliver to you expert results forged via a complete understanding of industry standards, insight into log home construction, design and engineering and a full understanding of how the elements can threaten a log home or structure and integrity. Whether it’s new home construction or regular maintenance, you can rely on Great Southern Log Homes to adhere to these five principles without wavering. We’ve built our business one log at a time with these guiding principles as our foundation. One of the first things we will recommend, particularly if it’s been awhile, is cleaning the logs. The benefits are immediate. It removes any surface contaminants such as mold and mildew, as well as strips the wood of graying. Your home is also vulnerable to pollen, dust and other airborne contaminants. These elemental factors will potentially dull your wood, as well as provide a breeding ground for fungi. Clearing away these substances will provide you with a healthier, more attractive home, as well as give us a fuller picture of what, if anything, needs to be done to ensure the integrity of your log home. Occasionally it might be necessary to replace or repair a log or two. Don’t worry! With Great Southern Log Homes, we understand how to most effectively and affordably perform any repair/replace job. If log rot is the issue, we will walk you through your options. We perform our work adhering to the strictest and highest standards of integrity. With Great Southern Log Homes, you have a true partner when it comes to maintenance of your log home. Guards your home from insects and decay. Latex chinking is impressively durable and involves nominal maintenance. Chinking increases your home’s livability, its ability to withstand the elements and its resale value. We expertly and affordably maintain any type of wood log home and any of its building materials. Log home inspections are a necessary, integral part of maintaining your log home and maximizing its potential and value. As a homeowner, you understand the importance of staying on top of any emerging issues that might reduce the your home’s comfort, efficiency and market value. At Great Southern Log Homes, so do we. That’s why we value the partnerships we help create and foster them to their fullest. Our customers are our lifeblood. When Great Southern Log Homes inspects your log homes, we perform a thorough inspection of every structural element of your house. Our certified inspections speak to our painstaking attention to detail. Our inspections adhere to the tenets set forth by the International Association of Certified Home Inspectors (NACHI). Regular inspections of your log home is the greatest cost control measure you can take as a home owner! Roof – The roof covering/materials, the gutters, the downspouts, the vents, flashing, skylights, chimney and other roof penetrations, the general structure of the roof from the readily accessible panels, doors or stairs. Exterior – The exterior wall-covering material, flashing and trim, all exterior doors, decks, stoops, steps, stairs, porches, railings, eaves, soffits and fascias and report as in need of repair any improper spacing between intermediate balusters, spindles and rails for steps, stairways, balconies and railings, windows, the vegetation, surface drainage, and retaining walls when these are likely to adversely affect the structure and describe the exterior wall covering. Basement, Foundation & Crawlspace – the basement, the foundation, the crawlspace, the visible structural components, reporting on the location of under-floor access openings and report any present conditions or clear indications of active water penetration for wood in contact with or near soil and report any general indications of foundation movement, such as, but not limited to: structural voids, out-of-square door frames and floor slopes and report on any cutting, notching and boring of framing members that may present a structural or safety concern. Great Southern Log Homes Builds, Restores, Inspects And Maintains Log Homes Across The Southeastern United States! At Great Southern Log Homes, we will always take the utmost care in determining the condition of all wood and logs. Both the interior and exterior of the log walls potentially present their own unique set of issues. For instance, when performing exterior inspections, it’s important to be vigilant when looking for mold, mildew and fungi, as well as cracks, inconsistencies, discoloration and wood rot. When inspecting the interior, it’s vital to inspect for spaces between the logs which can let both air and light in from the outside and negatively impact your home’s energy bill. Since one of the greatest advantages of owning a log home is its superior energy efficiency, the importance of making sure you have a well-qualified inspector who understands the entire process of building and maintaining log homes and structures is imperative. 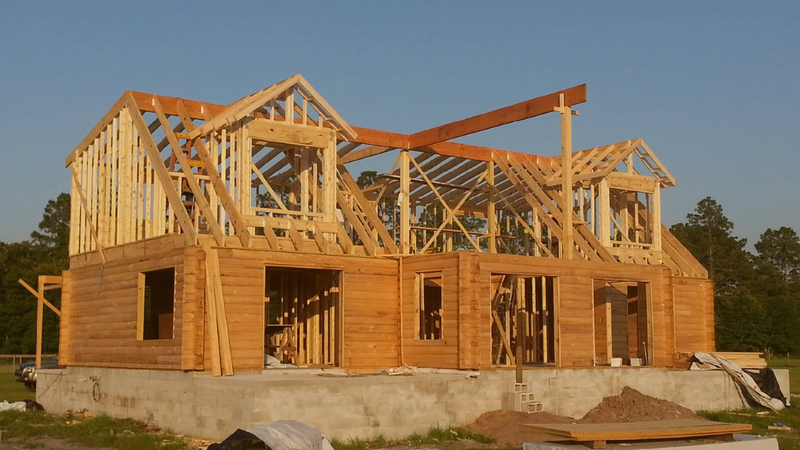 Great Southern Log Homes works in all phases of development and construction. We have contributed improvements to their building codes for severe tropical weather. Having Great Southern Log Homes on your side means confidence in knowing that you’re getting the most from your home.